I love this look on Grace! The popular Grace Kelly exhibit that has gone from the Victoria & Albert Museum in London to the Bendigo Art Gallery in Australia to the McCord Museum in Montreal finally made its way to the United States. From Philadelpha to Monaco: GRACE KELLY - Beyond the Icon opens today at the James A. Michener Art Museum in Doylestown, PA, about 50 minutes outside of Philadelphia. 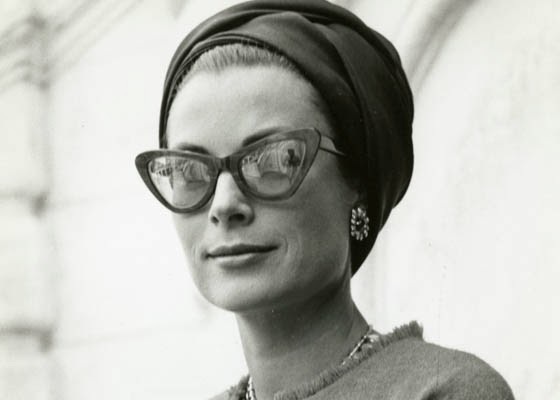 On display will be personal objects belonging to Grace on loan from the Palace of Monaco and the Grimaldi Forum, which will illustrate her life through letters, photographs, awards, film clips, and couture fashion. H. Kristina Haugland’s wonderful book accompanied the V&A exhibit. A wonderful feature, unique to this museum, will be the series of talks given by H. Kristina Haugland, the Le Vine Associate Curator of Textiles and Costumes at the Philadelphia Museum of Art. 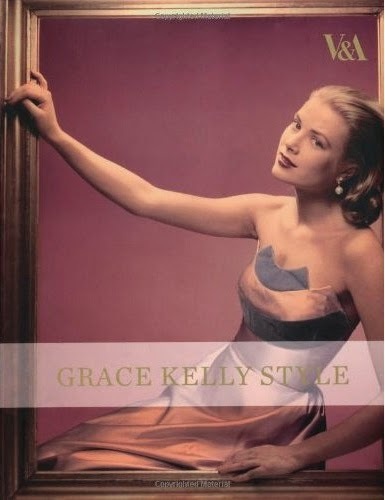 She curated the 2006 exhibition celebrating the 50th Anniversary of Grace & Rainier’s wedding, and is the author of Grace Kelly: Icon of Style to Royal Bride, as well as one of my favorite fashion books, Grace Kelly Style. She will give 3 different lectures on Grace Kelly’s style, on November 7, 14, and 21, from 7 to 8PM, and I’m telling you, attendees are in for a treat! 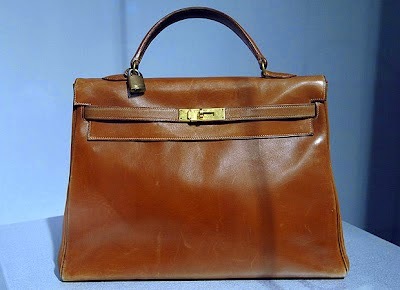 She is so knowledgeable about the elements of Grace Kelly’s look and entertaining to boot, as I found out firsthand when I interviewed her for my article on Grace Kelly’s namesake Hermès handbag. Grace’s Kelly as seen in the V&A exhibit. I hope it is on display at the Michener Museum! Same book as above, now available in paperback! I’m sure the exhibit—and Ms. Haugland’s lecture series—will be sellouts. No one did it quite like Grace Kelly and the legend (and interest in her) endures. From Philadelphia to Monaco: GRACE KELLY- Beyond the Icon is at the James A. Michener Art Museum from October 28, 2013 through January 26, 2014. Oh my, I would love to see this exhibit, Jill. Please show us if you can as much as possible. Have a great week!! Oh if only I lived closer I would be there in a heartbeat. If you go please spare us no detail! Too bad I never made it to London to see it at the V&A. Will you go and see for yourself? And hopefully give us the full rundown and many, many pictures, dear Jill? Oh my, how wonderful it would be to visit this exhibit. She has always been and will continue to be the perfect example of...well...grace. Her name suited her perfectly. How fabulous is this exhibit! I am already in swoon mode. What a glamorous and graceful woman. Jill, You are so lucky to be able to get to this! Grace Kelly is perfection in my book. Going to post this to my Grace Kelly Style board on Pinterest. I'd love to get that book now that it's in paperback. I hope you'll visit and give us a full report. Thanks for all the nice comments. I hope I can see this exhibit, I don't know if they will allow pictures, I will certainly take them if they do. If anybody gets to this exhibit soon, let me know what you thought of it! Truly a must see if ever there was one! Alas, I hope you'll be able to take photos and share with us. Thanks for the summary!